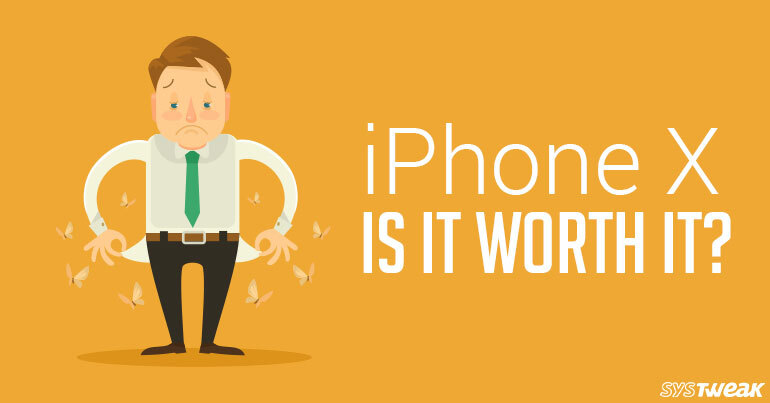 Apple Phones- the legacy left behind by Steve Jobs, carries on! Whenever people hear about a new iPhone launch the excitement levels shoot up and one can find long line up outside stores to be one of the first owners. This time is no different, the launch of latest version of iPhone was eagerly anticipated by its users. What they received this time for their brand loyalty was a batch of smartphones that was not anticipated. Apple recently launched 3 new phones iPhone X, iPhone 8 and iPhone 8 Plus. The most hyped amongst them was iPhone X which is supposedly the jewel in Apple’s crown. It was marketed as the be all phone, that has revolutionary features like Facial Recognition, Bezel-less Display, Wireless Charging and Animoji. But the ground reality was not as pretty as was expected by many! Well! things seem to start on the wrong foot with Craig Federighi was unable to unlock the phone with the most glorified feature Face ID. This of course was too good an opportunity to let go for the trolls and thus resulted in Memes and much bad press coverage. The woes just didn’t end here, what made matters worse was the price, iPhone X was said to be sold at an exorbitant amount of $999. This made people go mad and the product was again dragged in the bad light for its cost as it was in-affordable by many and followed yet another set of memes! Despite all the flak, as always, Apple didn’t have to struggle wooing buyers, as there were still many, waiting to own this amazing phone. But once they got phone in hand, it turned out to be disappointing for many because they had to shell out extra to get the wireless charging plate. The beginning was just tip of the iceberg as many factors surfaced which only rubbed salt into the wounds. Are you ready to know the secret of most hyped phone in the history of Apple? The secret that was kept hidden from us. 1. iPhone X Battery Will Wear Out in About 18 Months! Wireless charging and fast charging looks like an ultimate solution for battery hogging phones. But there’s a darker side to it as your iPhone X may wear out in a shorter span. According to Apple, the battery is designed to hold up to 80% of its original capacity, meaning at 500 complete charge cycle the battery will be worn out. As per a research in four months 91 recharge cycles are completed which means in about 18- 20 months you will hit 455-500 recharge cycles. That states after 18 or 20 months you will have to invest in a new battery, which definitely is not a great news for many. There are reports claiming that Apple is planning to discontinue iPhone X because the demands are less as expected. While on the other side it is said that soon there will three new models in the market due to which iPhone X may discontinue. Whatever the case maybe it means that iPhone X the most hyped and expensive phone will not even last for a year. After hearing this many iPhone X users are in shock state. Some users within few months of the purchase have started facing issue with the touch of iPhone X. Shocked! don’t be, it is true and Apple is aware about it. According to a report on The Loop the company said they are aware about this issue. To explain it they said the screen becomes unresponsive temporarily to touch due to rapid change to a cold environment. Do you expect this from a device that is worth $999? If in normal cold weather this is the way iPhone X will behave then what will happen with the users living in Canada and America? This year they are facing recording breaking winters, so in such a case either they should leave their iPhone X at home or should temporarily relocate if they want to use the phone is it? Because Apple will release a fix in next OS upgrade. WOW! Number of stories are strolling in the news claiming that twins can fool Face ID. Plus a 10-year child was able to unlock his mother’s phone by staring on it for a moment. So, does this means we are paying $999 for a malfunctioning feature. For these incidents Apple said that someone who looked like you might be able to unlock the phone a twin or just family member, also children should avoid using Face ID as their features are still developing and people with similar feature can unlock iPhone X. What an excuse! Unlocking iPhone X is not easy! It is a three-step process. User must first press the wakeup button on the side or raise the phone. Once this is done a little padlock is displayed at the top the screen. After this the phone will recognize your face and then finally you must swipe up to get it working. Can’t it be simpler like looking at the screen and phone gets unlocked? To get it working you need to spend some extra bucks and get a charging stand otherwise each time you want to unlock it you will have to pick it up and lift it up then the Face ID will work. Isn’t it cumbersome? After knowing all these facts just give it a thought is it worth investing $999 in iPhone X. Plus, if the phone slips from your hand due to the glass back you will have to lose both front and back glass. Furthermore, there are leaks about iPhone will not be able to support 5G. Not only this, user doesn’t get to see any DND icon if enabled he can only get to know it by going to Control center, making payments using iPhone is not easy. All this and lot more problems are faced by the users. So, think before you spend it’s a great idea to think before than to repent. One would expect this from an imitation phone, but from Apple, the legends who changed the entire market on its head with original OS and the iPhone?